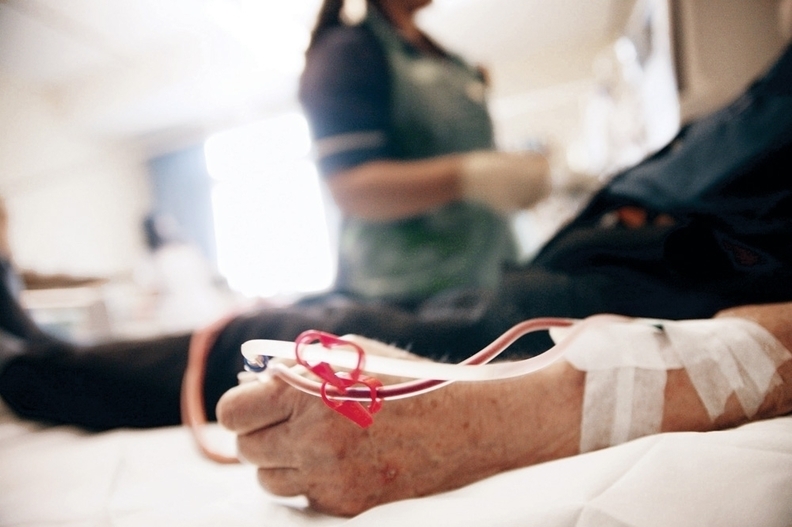 HHS wants to shift Medicare payment policies to encourage providers to shift dialysis to patients' homes, which would save money on treating end-stage renal disease, HHS Deputy Secretary Eric Hargan said. Medicare's payment program doesn't focus enough on prevention or home dialysis, which research has shown is cheaper but just as safe as going to a clinic, Hargan said at Academy Health's Datapalooza event Wednesday. "If we reorient our incentives to pay for preventing kidney disease, and for providing patients with what may be more convenient options, like at-home or peritoneal dialysis, we believe we'll not just see better care — we'll also see technological advances too," he said. In 2016, Medicare paid $34 billion for patients with end-stage renal disease. Overall Medicare paid $113 billion for treating kidney disease in 2016, making up more than one-fifth of all Medicare spending that year. "Essentially, we begin paying for kidney patients once they're already quite sick," Hargan said. "The problem is, this $34 billion in spending pays not for outcomes, but for services." HHS is very specific in what treatments for kidney disease it will reimburse and negotiates aggressively for low rates, which can be a double-edged sword. "This sounds logical, and it is, but it also means that we may be leaving so little margin and being so specific on services that we leave little incentive for providers to innovate in treatment," Hargan said. "So they don't." Home dialysis adoption has been very slow. Only about 12% of patients on dialysis receive treatment at home. In 2016, 8% of new patients with end-stage renal disease started home dialysis, according to the United States Renal Data Service report. The deputy secretary's remarks are the latest signal from HHS that the agency wants to move most of Medicare payments for dialysis treatments from clinics to the home. HHS Secretary Alex Azar said at the National Kidney Foundation earlier this month that the current payment system may drive patients towards dialysis centers instead of cheaper options at home. "For one, we believe we may simply underpay for these [home] alternatives, even though we know how much they can benefit patients' lives," Azar said. "It's also more appealing for a dialysis company to add patients to a center where one machine can accommodate multiple patients than it is to provide new services to each patient at home." Last year, HHS launched a public-private partnership called KidneyX with the American Society of Nephrology. The goal was to hold prize competitions for new products and treatments such as wearable or implantable artificial kidneys. Hargan said at Datapalooza that the partnership's first competition generated 165 submissions. "We're thrilled with this level of interest, and it shows what a prize competition can drive in an otherwise neglected investment space," he said. Some companies have also taken an interest in home dialysis. CVS Health, for instance, said last year that it plans to expand into home dialysis and develop new home hemodialysis technology.